South African startup WizzPass is revolutionising the process of entering office and apartment building car parks, allowing users to open the parking boom using only their smartphone. 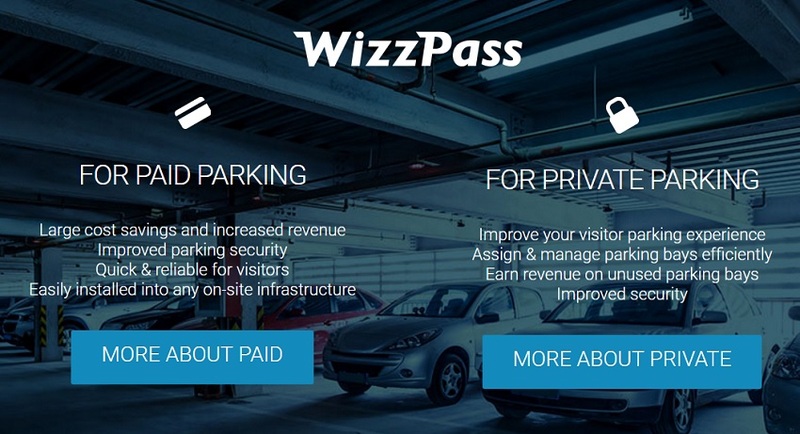 Launched in mid-2015 and the only South African company to take part in the recent Barclays Accelerator in Cape Town, WizzPass has developed a web dashboard that allows office employees and residents to effectively manage and book visitor parking. Users simply log on to the dashboard, load the visitor’s email address and select the time, date and parking area. The user receives an email notification informing them of their booked parking and a link to download the app. The user then simply drives up to the parking boom or gate and opens the WizzPass app, which automatically connects to the WizzPass hardware device installed in the boom or gate. The visitors swipes right on the app and the boom automatically opens. An email notification is then sent directly to reception and the host informing them of the visitor’s arrival. Simple but effective, with WizzPass also useful at paid parking sites such as shopping centres, where the user loads a credit or cheque card upon registration, once again allowing them to simply drive up to the parking boom, open the WizzPass app and swipe right to enter and exit. The parking tariff is then automatically calculated and deducted. Managing director Ulrich Stark told Disrupt Africa this was just the beginning for the startup, with its technology applicable in alternative industries such as cashless fuel payments, toll roads and drive-throughs. As with many startups, it was born from pure frustration at how difficult it was to get into parking areas. “The mall, the office park, airports – basically wherever you have to park there is still this outdated and frustrating paper systems,” Stark said. The company was formed just over a year ago, but Stark and the team have spent that time developing its technology to ensure the WizzPass product was sound. It has now been operational for over a month at a variety of private and public sites, with over 1,000 users having already downloaded the app. Self-funded from the start, WizzPass received some initial funding from Barclays during the Cape Town accelerator and is now in the process of raising further investment. Stark said there was a sizeable opportunity as the startup’s research had shown there were no real players in the private parking market, except for a couple utilising more expensive and insecure technology. “We believe that our product is more secure, convenient and affordable. In the private parking environment, little to no attention has been placed on the visitor parking experience,” he said. WizzPass, on the other hand, provides a secure way of entering and exiting an office or apartment building, and improves the security of buildings as it has a complete electronic record of visitors. Once additional funding has been secured, Stark said the startup will look to scale its technical team to perform more installations in more cities and countries, and expand WizzPass into alternative industries. He said uptake has been impressive thus far. “We have only been operational for one month, so we are very happy with feedback from our users so far. We obviously want to expand into as many offices, commercial and retail sites as possible to provide the WizzPass experience to everyone,” Stark said. WizzPass charges a monthly fee directly to the property owner or business, and not to the end user. “We don’t believe the end user should be charged for a better parking experience. Our fees are based on the amount of users utilising the WizzPass platform,” Stark said.